A dynamic short story collection that illuminates many hidden corners of the beloved, best-selling Mary Russell and Sherlock Holmes series. Since the first book-length "memoir" appeared in 1994, the partnership of young Mary Russell and her more famous partner, Sherlock Holmes, has excited a community of readers, young and old. In nine short stories, seven of which have never previously been available in print, and one brand new, never before- seen Sherlock Holmes mystery are brought together for the first time. Following an "Appreciation" by noted Sherlockian Leslie S. Klinger, Laurie R. King blends vivid historical settings with narrative sleight-of-hand, from a novella composed of Mary Russell's teenage diaries to the story of how, in her nineties, Miss Russell came to send her Memoirs to Laurie R. King, and from Mrs. Hudson's own investigation to a tale of young Russell's beloved Uncle Jake-and, a Christmas investigation by Sherlock Holmes and his very young assistant. 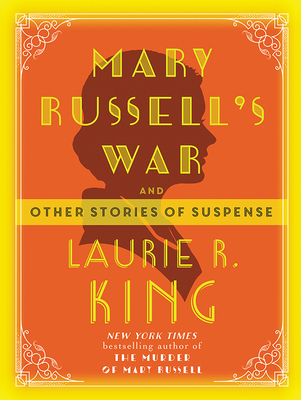 Laurie R. King is the New York Times bestselling author of 25 novels and other works, including the Mary Russell-Sherlock Holmes stories (from The Beekeeper's Apprentice, named one of the 20th century's best crime novels by the IMBA, to 2016's The Murder of Mary Russell). She has won an alphabet of prizes from Agatha to Wolfe, been chosen as guest of honor at several crime conventions, and is probably the only writer to have both an Edgar and an honorary doctorate in theology. She was inducted into the Baker Street Irregulars in 2010, as "The Red Circle."